This summer was a hot one, and Dancewave brought the heat to match it! While we are still in denial about summer being over, we can’t help but reflect on these past two weeks of summer dance. 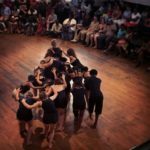 August 15-26, Dancewave hosted coinciding dance intensives on two separate sites with special guest artists and a wide variety of technique classes. Over at Gallim Dance, Advanced Summer Dance Intensive (ASDI) students had the opportunity to work with successful choreographers/teachers currently making and presenting work on the NYC dance scene — Dante Brown and Alexandra Beller. Each morning for two weeks included ballet with Caroline Fermin to create a strong base of classical technique before getting to the nitty gritty. During Week One, Dante Brown brought flow and groove, while Week Two with Alexandra Beller focused on specificity and intention. 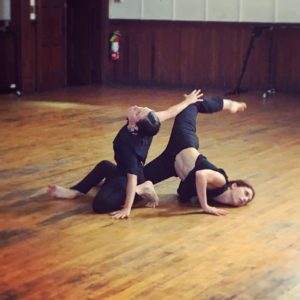 Both Alexandra and Dante created exciting repertory for ASDI dancers, exposing them to their creative processes with which they make successful work. Week Two also included a unique Dance for Film class with Caroline Fermin, where students used their smartphones as a camera with its own choreography. This class challenged students to approach dance from a completely new perspective and allowed students to perform in a totally different way. 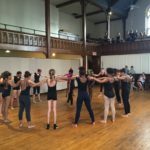 Meanwhile at Old First Reformed Church, Summer Dance Intensive (SDI) students had a quite the smorgasbord of teachers and classes. From ballet to hip-hop, from salsa to African, and from modern to musical theater, SDI dancers had the opportunity to work with Teaching Artists Lisa Bostwick, Jessica Cipriano, Noemi Di Gregorio, Dana Thomas, Winston Brown, Brion Vann, Rolanda Ledain, Rebecca Bliss, and Kenna Garcia — all of whom are part of our Dancewave family or our D-Wave in Motion family. Similarly to ASDI, SDI students brushed shoulders with professional dancers and choreographers working in the field through exclusive showings and panel discussions. On Wednesdays, SDI’s “Demitasse Showings” featured artists like Teresa Fellion, Billy Schultz, AJ Sharp, and more. The dancers performed works in progress for SDI students, opening the floor to any and all questions. Each week of both intensives culminated in a free and open Friday evening performances called Fridays at Five, bringing together both ASDI & SDI students — not to mention their families and the community! The first performance included work from SDI African class, Hip Hop, and Modern while ASDI repertory included a work by Dante Brown called “Somewhere”, to be performed by his company Warehouse Dance in the future. The following Friday, SDI students performed work from their modern class, Salsa class, and “All That Jazz” from Chicago for musical theater. ASDI Repertory included a piece by Alexandra Beller, and a multimedia site-specific work. 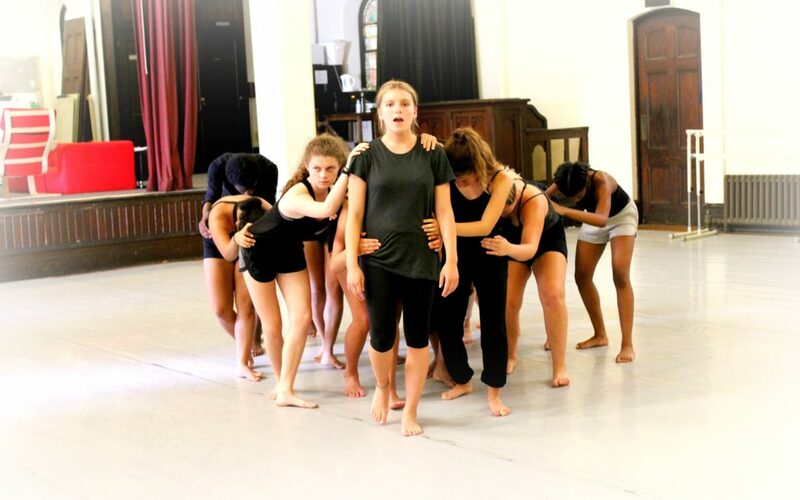 Coached by Caroline Fermin, ASDI students used the space at Old First Reformed Church to create improvisation based on the architecture and atmosphere, combined with choreography by Caroline Fermin. Students performed all over the space and away from the audience, while their peers live-recorded their movement which was projected onto the wall for the audience. We were blown away by the creativity and professionalism presented by this work and these students. Fridays at Five is always such a treat for all the dancers to exhibit their growth in such a small amount of time. 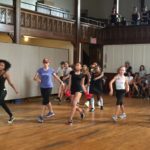 This year’s Summer Intensives proved to be such a success, with students growing as artists, dancers, and confident young people in the community. We can’t wait for next summer! For more media from ASDI and SDI, follow Dancewave on Facebook, Twitter, Instagram, and Snapchat (@dancewavebklyn). Don’t forget to tag #DanceMakesWaves on your Dancewave posts! Stay tuned for our blog post highlighting our Summer Scholarship recipients and their experience at ASDI & SDI. Dancewave would like to thank the amazing SDI and ASDI teaching staff including Alexandra Beller, Lisa Bostwick, Rebecca Bliss, Dante Brown, Winston Brown, Jessica Cipriano, Caroline Fermin, Kenna Garcia, Noemi Di Gregorio, Rolanda Ledain, Dana Thomas, and Brion Vann. Also thank you to all of the wonderful students who enrolled in the program and all those who attended the Fridays at Five Showcases! We look forward to seeing you next summer!